Ahmedabad is situated at the bank of Sabarmati River. Formerly Ahmedabad was known as Manchester of India for its textile industries. It is famous for its diversified culture and various festivals such as Festival of Kites, Navaratri-Festival of nine nights, Festival of Lord Jagganath. City offers various interesting and historical places. The Indian city of Ahmedabad has an great mix of rich traditionions with a modern feel. Known affectionately as the ‘Manchester of the East’ Ahmedabad made its mark as the home of a flourishing textile industry, although today it’s also regarded for its international trade, chemical and IT industries. The cultural and commercial heart of Gujarat and much of western India, Ahmedabad is well known for its festival and it's claimed to have one of the longest lasting dance festivals in India if not the world. The nine nights of Navratri are celebrated with people performing Garba 'the folk dance of Gujarat' at venues across the city. There are no direct flights to Ahmedabad from the UK, however low cost flights are often available on airlines which operate indirect services with a short transit or plane change enroute. Airlines which serve Ahmedabad include Jet Airways, Emirates and Air India. As with most of the main Indian cities, Ahmedabad is host to many Indian festivals which take place throughout the year. Join in the fun of some of the more colourful festivals such as Holi (the festival of colours), where friends and family get an immense amount of pleasure out of throwing paint at each other! Ahmedabad is steeped in architectural history with a fushion of Islamic architecture with stunning Hindu craftsmanship, this gave way to the Indo-Saracenic style that is noticed today. Some of the masterpieces include Juma Masjid, Jhulta Minara, Bhadra Fort and the majestic Akshardham Temple. Take in the fabulous sights of the Gandhi Aashram which was once home to Mahatma Gandhi, Sidi Sayed Mosque, Amar dham, Kankaria Lake and Nagina Wadi Summer Palace, Calico Textile Museum and while away time in the many markets picking up trinkets and treasures. Ahmedabad is a gastronomic paradise, the Gujarati people are very fond of eating and the food tends to be slightly sweeter than traditional Indian cuisine from other parts of India. Gujaratis are mostly vegetarians hence most local delicacies will be vegetarian. Some excellent restaurants include Amazo, Vishala, Tadka Punjabi, Sankalp and Havmore. Directflights.com is one of the fastest growing travel comparison sites, use our flight search box to find the cheapest flights to Ahmedabad, India. If you're after cheap flights, we advise you to book early and avoid busy periods such as public holidays and festivals. If you need to travel imminently, try our search box for the best value lastminute flights. The climate of Ahmedabad is hot and moist. 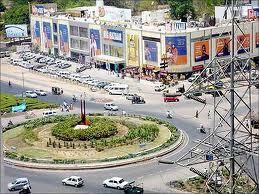 Best period to visit Ahmedabad is between November and February, it is winter season. Weather is cool and pleasant in winter. In Summer (April-June) temprature can reach 46.0°C. 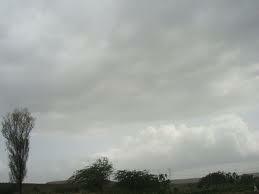 Good Rainfall in monsoon (July-September) gives relief to ahmedabad from hot summer.